Thank you to everyone who joined us for the opening of Mandy El-Sayegh’s exhibition, Cite Your Sources, last Thursday. The exhibition is now open until 9 June, Wednesday - Sunday, 12-6pm. To find out more information, please click here. Photos are of the opening, by Mark Blower. Chisenhale Gallery will be open as usual on Easter Weekend (Friday 19 April - Sunday 21 April), 12-6pm. 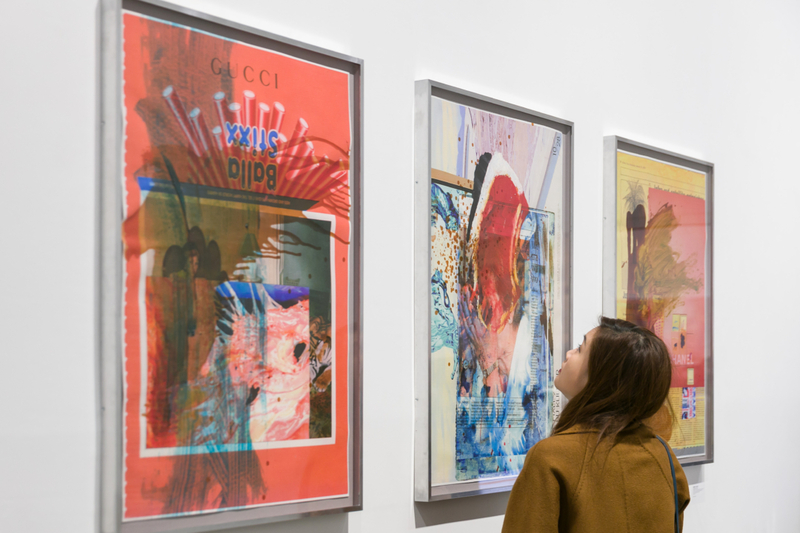 Please join us next Thursday 25 April, 7pm, when Mandy will be joined in conversation with Jennifer Higgie, Editorial Director of frieze, to discuss her new commission. This event is free to attend but booking is recommended. To reserve a place please visit our Eventbrite page here. Chisenhale Research launches Now let us shift, a new e-publication exploring an intergenerational discourse around the creativity, wellbeing and labour of women of colour. 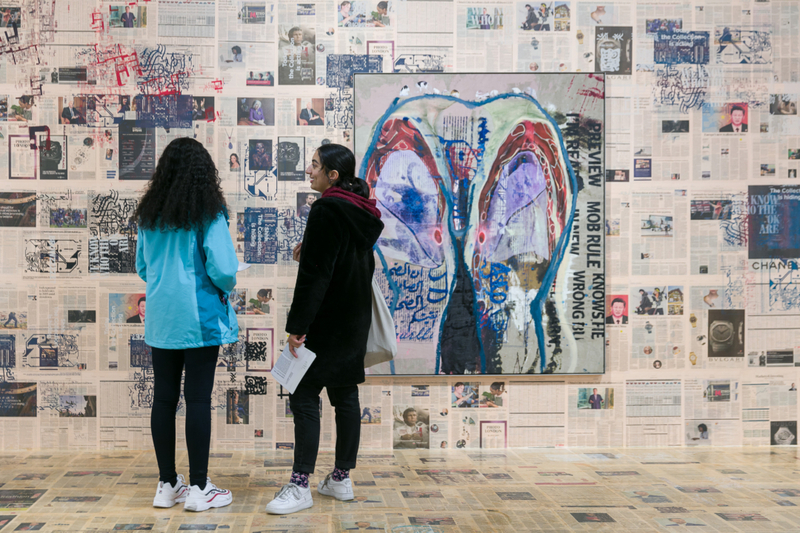 Devised as part of Amrita Dhallu’s role as the 2018-2019 Curatorial Assistant: Commissions, the publication comprises a series of transcribed conversations between Dhallu and artists Lubaina Himid, Mandy El-Sayegh and Lydia Ourahmane. For more information, please click here. 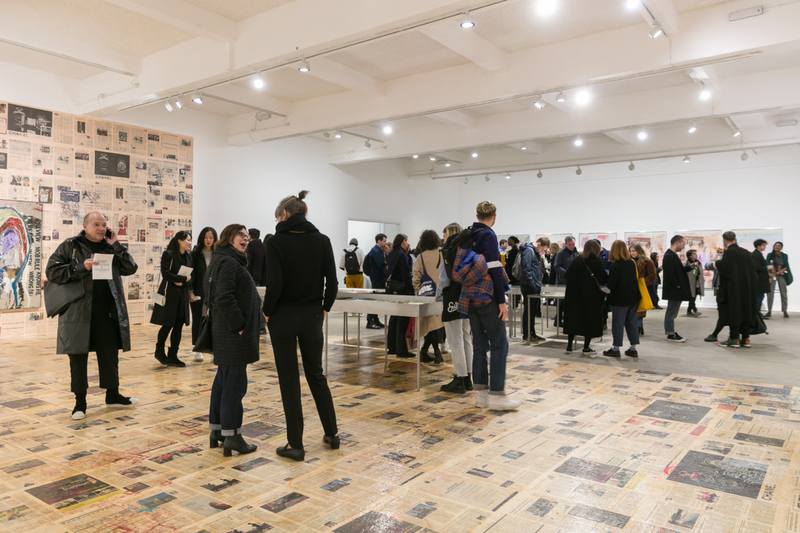 We are excited to announce that we are now recruiting for two new curatorial roles: Assistant Curator: Commissions and Assistant Curator: Engagement. The deadline to apply is Monday 29 April. For full details on the new roles, please click here. Chisenhale alumni with recent openings include: Mona Hatoum is included in group show, Touché! (Gesture, Movement, Action), which opens at Beirut Art Center, Beirut on Wednesday 17 April. Congratulations to Chisenhale alumnus and Trustee Paul Maheke for being shortlisted for the 21st Fondation Ricard Prize and congratulations also to Lawrence Abu Hamdan who is included in the 22nd Biennale of Sydney, NIRIN. Please join us this Thursday 11 April, 6.30-8.30pm, for the opening of Cite Your Sources, a new commission by Mandy El-Sayegh. El-Sayegh’s Chisenhale Gallery exhibition brings together principle elements from an ongoing series of works to explore themes relating to representation, abstraction and subjectivity. 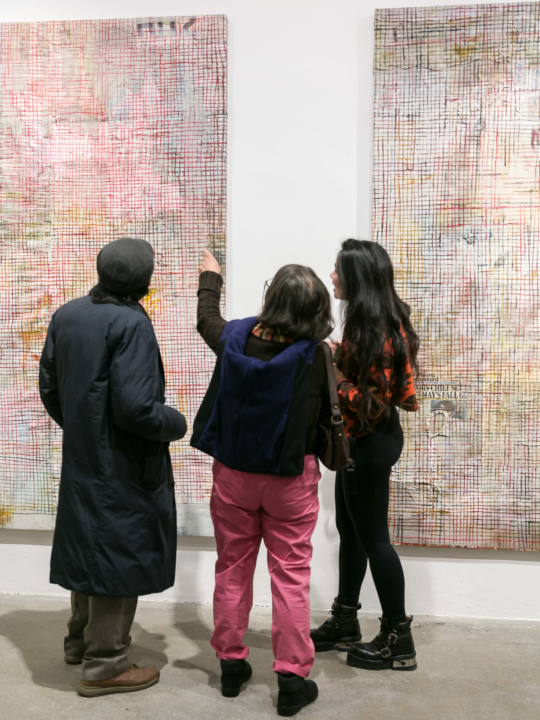 Comprising painting, drawing, print and sculpture, Cite Your Sources addresses the process of constructing meaning through the production and circulation of images and materials. To find out more, please click here. As part of the commissioning process, a programme of discursive events has been devised in collaboration with Mandy. Events include a conversation between Mandy and Jennifer Higgie, Editorial Director of frieze on Thursday 25 April, 7pm; an introduction to Mandy’s exhibition by Emma Moore, Curator: Engagement on Thursday 2 May, 7pm; a talk by Gareth Longstaff, Lecturer in Media and Cultural Studies at Newcastle University on Thursday 23 May, 7pm and a zine-making workshop for children led by Grrrl Zine Fair on Saturday 18 May, 2pm. For details on all events and for bookings, please visit our Events page. We have also produced a reading list devised in collaboration with Mandy to accompany her exhibition. 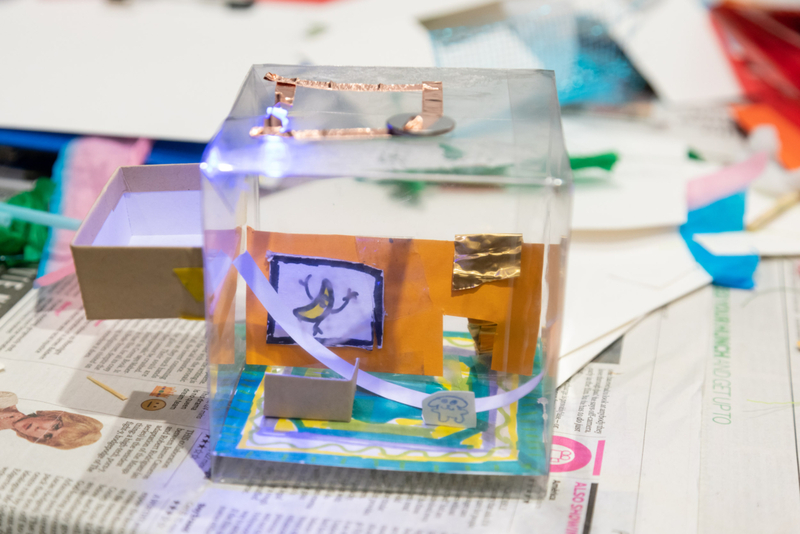 This resource expands on ideas raised through Mandy’s exhibition and wider practice. Included texts explore themes relating to self-representation and identity in the context of feminist theory and literary criticism. To read the list, please click here. Congratulations to Alex Baczynski-Jenkins and Paul Maheke who are included in the 2019 Venice Biennale’s first performance programme, which is co-produced by Delfina Foundation, London. This programme will be presented alongside the main exhibition, which is titled May You Live in Interesting Times. The gallery is currently closed as we prepare for our forthcoming exhibition by Mandy El-Sayegh, which opens on Thursday 11 April, 6.30-8.30pm. El-Sayegh’s Chisenhale Gallery exhibition brings together principle elements from an ongoing series of works to explore themes relating to representation, abstraction and subjectivity. 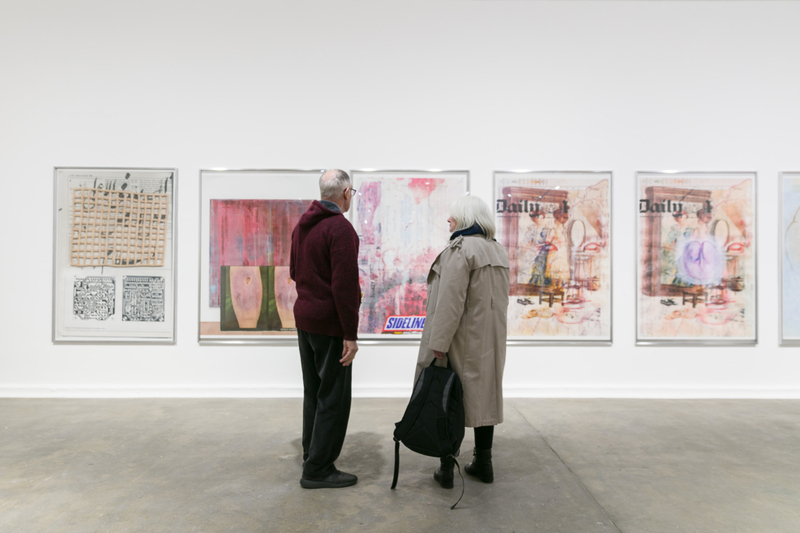 Comprising painting, drawing, print and sculpture, Cite Your Sources addresses the process of constructing meaning through the production and circulation of images and materials. To find out more, please click here. Chisenhale Gallery’s office is open Monday to Friday, 10am-6pm, this week. Over the next two weeks, we will be revisiting previous works by Mandy on social media ahead of her exhibition at Chisenhale Gallery. Follow us on Instagram to find out more. Congratulations to Chisenhale alumna Shen Xin who has been shortlisted for the inaugural Sigg Prize. The Sigg Prize is open to artists born or working in the Greater China region, with the intention to highlight and promote on an international scale the diverse and exciting artistic work and cultural dialogues taking place in the region. Ghislaine Leung’s exhibition has now closed. Thank you to everyone who has visited the exhibition and to everyone who participated in our Engagement Programme of talks and events. 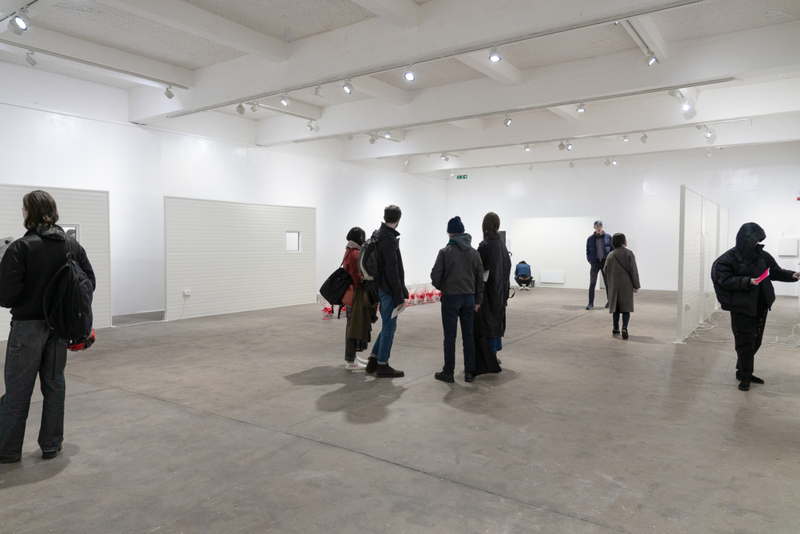 To read an interview between Ghislaine and Ellen Greig, Curator: Commissions discussing her exhibition at Chisenhale Gallery, please click here. To explore the reading list devised in collaboration with Ghislaine to accompany her exhibition, please click here. 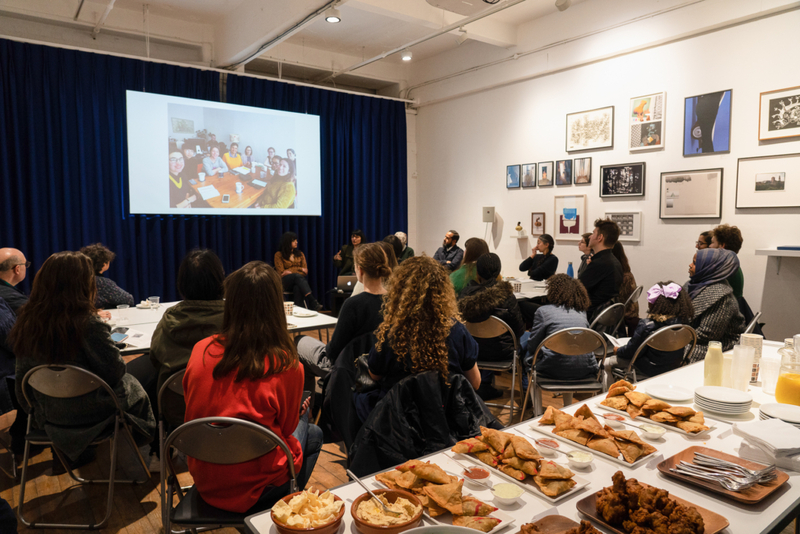 Thank you to everyone who joined us for Chisenhale Gallery Forum an open discussion led by local residents, artists and activists based in Tower Hamlets, and devised by Layla Gatens as part of her role as the 2018-19 Curatorial Assistant: Engagement at Chisenhale Gallery. The gallery is currently closed as we prepare for our forthcoming exhibition, Cite Your Sources, by Mandy El-Sayegh, which opens on Thursday 11 April, 6.30-8.30pm. To find out more, please click here. Chisenhale Gallery’s office is open Monday to Friday, 10am-6pm, this week. 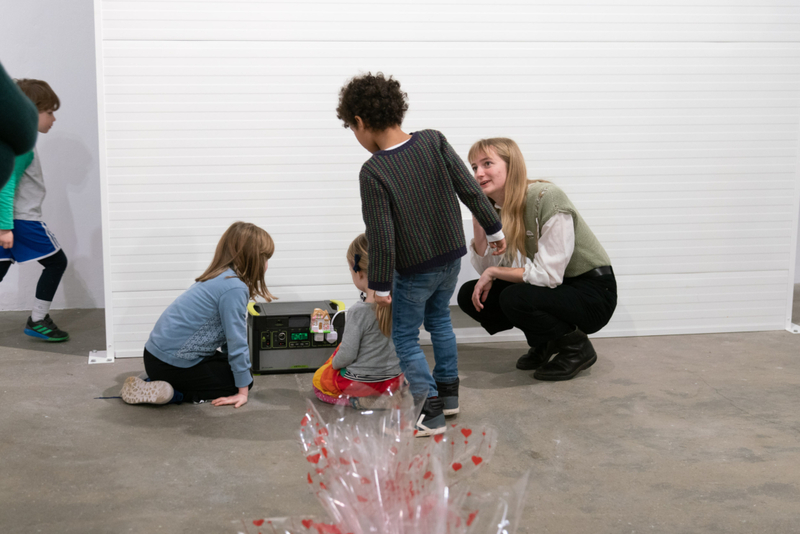 Chisenhale alumni with recent openings include: Peter Friedl presents solo exhibition Teatro at Kunsthalle Wein, Vienna, which continues until 9 June 2019; Lynette Yiadom-Boakye and Hilary Lloyd are included in group exhibition Palimpsest at Lismore Castle Arts, Lismore, which opens on 31 March and continues until 13 October 2019. Ed Atkins, Patrick Staff, Helen Marten and forthcoming programme participant Sidsel Meineche Hansen are included in group exhibition The Body Electric at Walker Arts Centre, Minneapolis, which opens on 30 March and continues until 21 July 2019. Ghislaine Leung, Loads (detail) (2019). Commissioned and produced by Chisenhale Gallery, London. Courtesy of the artist. Photo: Andy Keate. Thank you to everyone who has visited Ghislaine Leung’s exhibition, CONSTITUTION, so far. 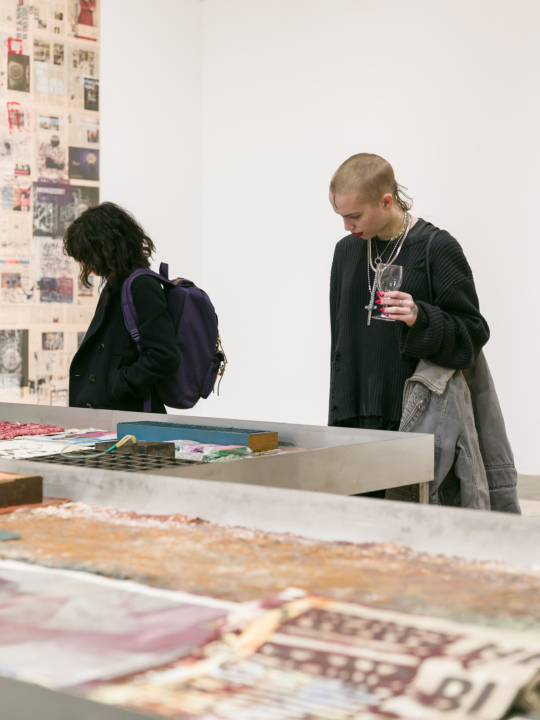 This is the final week to see the exhibition, which continues until Sunday 24 March, 12-6pm. To find out more information, please click here. Thank you to everyone who joined us for the early morning viewing to Ghislaine’s new commission on Friday 15 March with an introduction by Layla Gatens, Curatorial Assistant: Engagement. Thank you also to the East End Women's Institute who generously provided the cakes for the occasion. Please join us this Wednesday 20 March, 7pm, when Ghislaine will be joined in conversation by Fatima Hellberg, to discuss her new commission at Chisenhale Gallery. Fatima Hellberg is Artistic Director at Künstlerhaus Stuttgart. This event is free to attend but booking is recommended. To reserve a place please visit our Eventbrite page here. 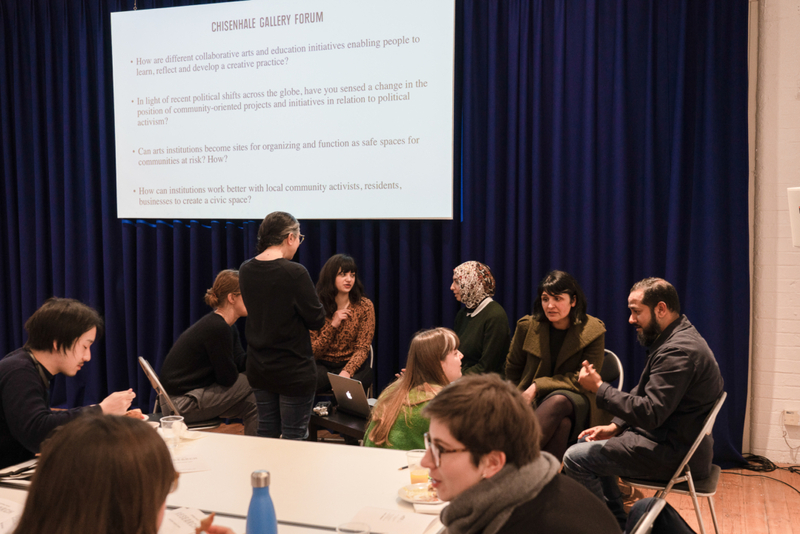 Please also join us for Chisenhale Gallery Forum, on Saturday 23 March, 2pm, an open discussion led by local residents, artists and activists based in Tower Hamlets. 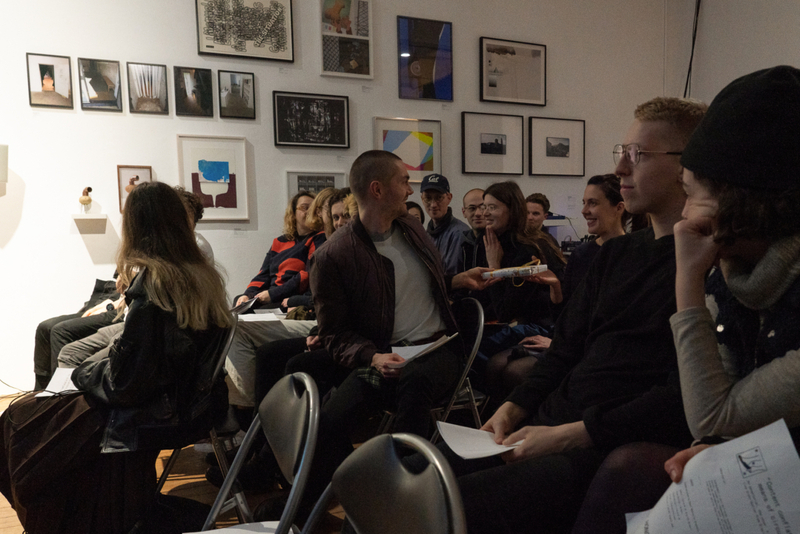 This event is devised by Layla Gatens as part of her role as the 2018-19 Curatorial Assistant: Engagement at Chisenhale Gallery. 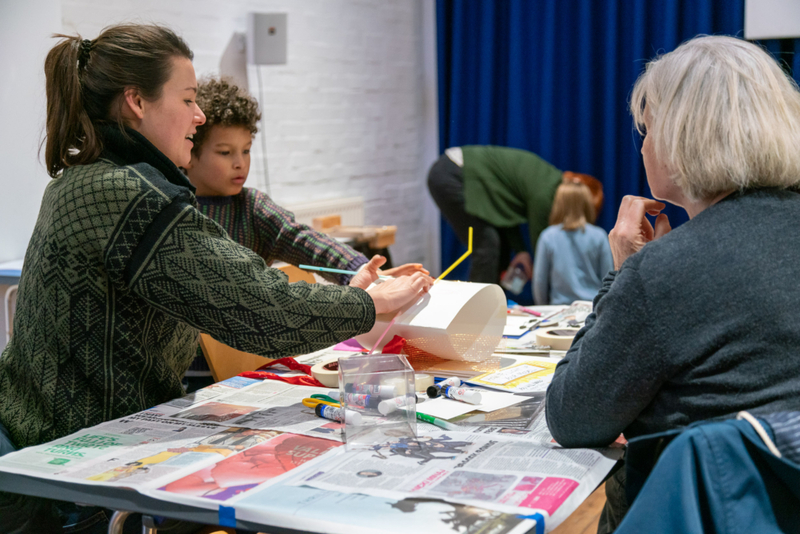 Using Chisenhale Gallery's 1988 exhibition Identity as a starting point, the event will reflect on local experience to consider new ways of working for collaborative and community arts practice. This event is free to attend but booking is recommended. To reserve a place please visit our Eventbrite page here. 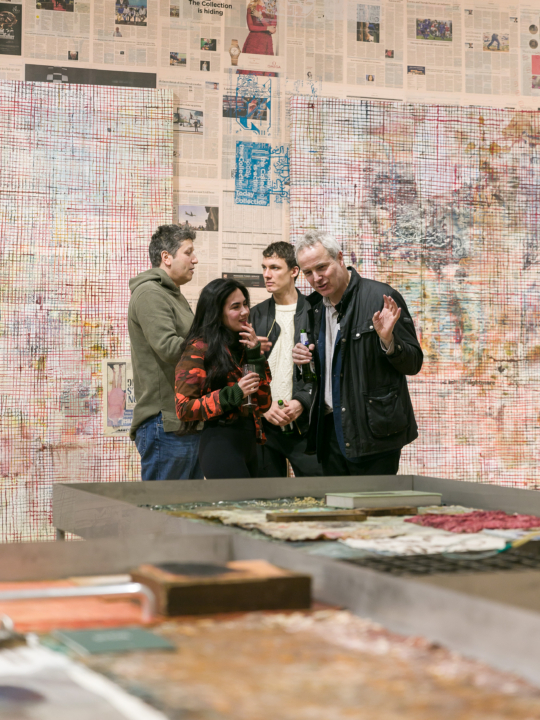 Chisenhale programme alumni Rasheed Araeen has opened his major retrospective at The Garage Museum of Contemporary Art, Moscow, which continues until 26 May 2019. 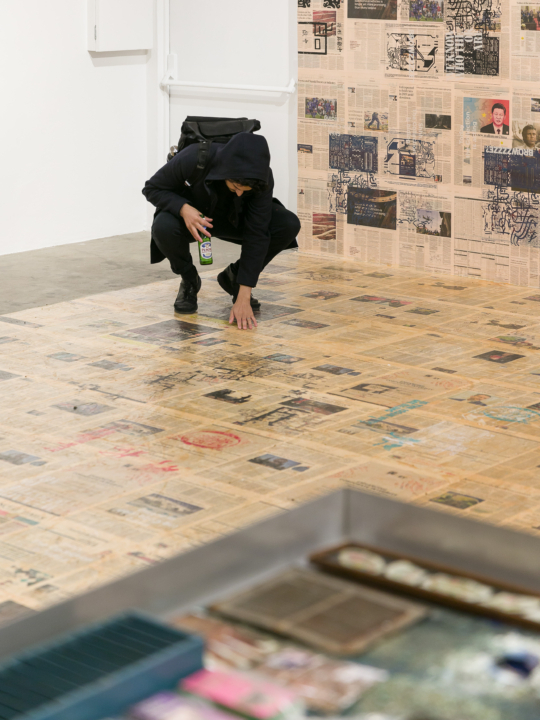 Thank you to everyone who has visited Ghislaine Leung’s exhibition, CONSTITUTION, so far. The exhibition continues until 24 March, Wednesday-Sunday, 12-6pm. To find out more information, please click here. 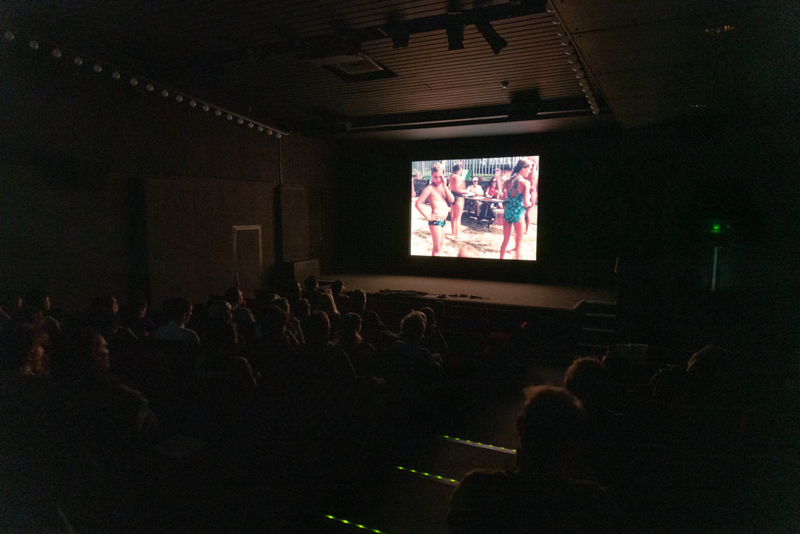 Thank you to everyone who joined us at the screening of Jeff Preiss’ film STOP at the Institute of Contemporary Art, last Thursday. Photos are of the event, by Sam Nightingale. Please join us on Friday 15 March, 9-10.30 am, for an early morning viewing of Ghislaine’s new commission with an introduction to the work by Layla Gatens, Curatorial Assistant: Engagement. Coffee and cakes are generously provided by the East End Women's Institute. 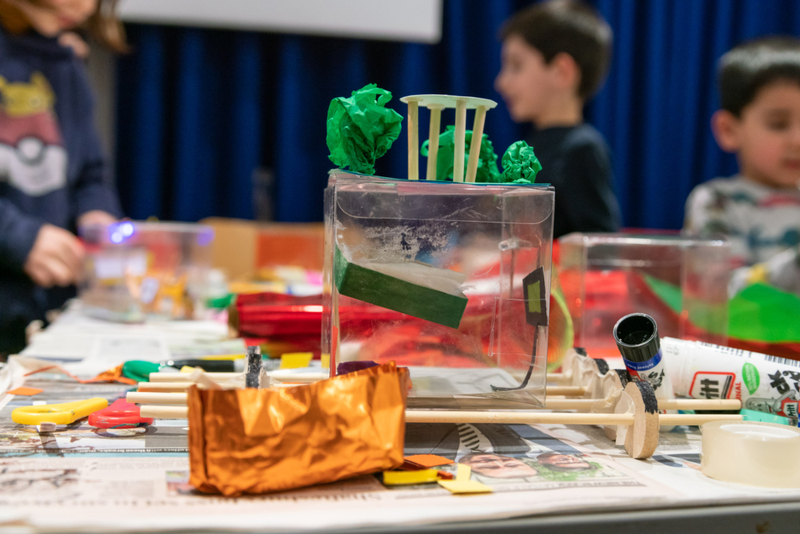 The deadline for New Creatives has been extended until 11.59pm, Sunday 17 March 2019. 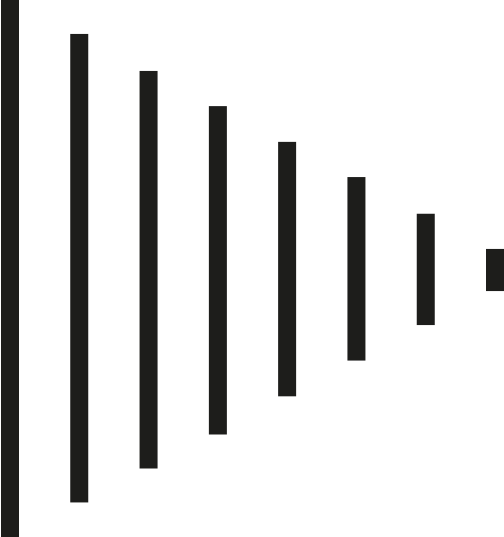 New Creatives is a newly launched series of commissioning opportunities for emerging artists aged 16-30 years who work with audio or moving image. 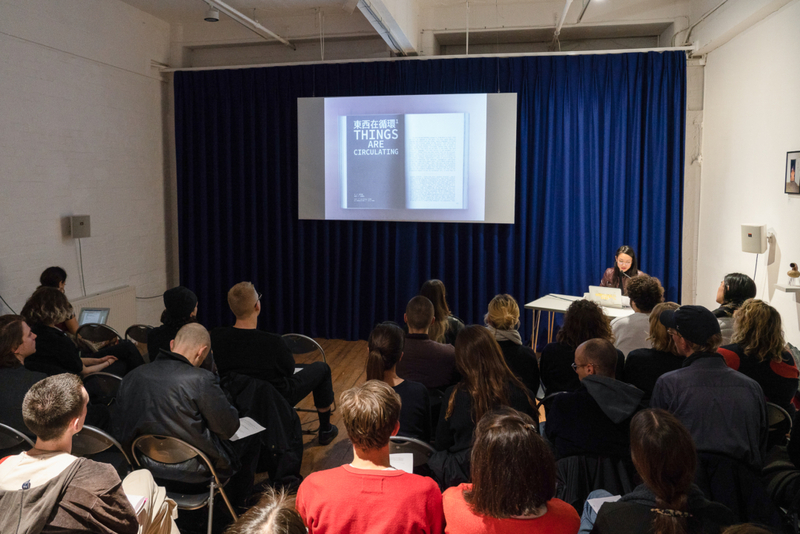 Chisenhale Gallery is working in partnership with The Institute of Contemporary Arts, BBC Arts and Arts Council England and is one of seven production partners including ICA, Kingston School of Art, NTS, SPACE, Dazed Media and Werkflow. 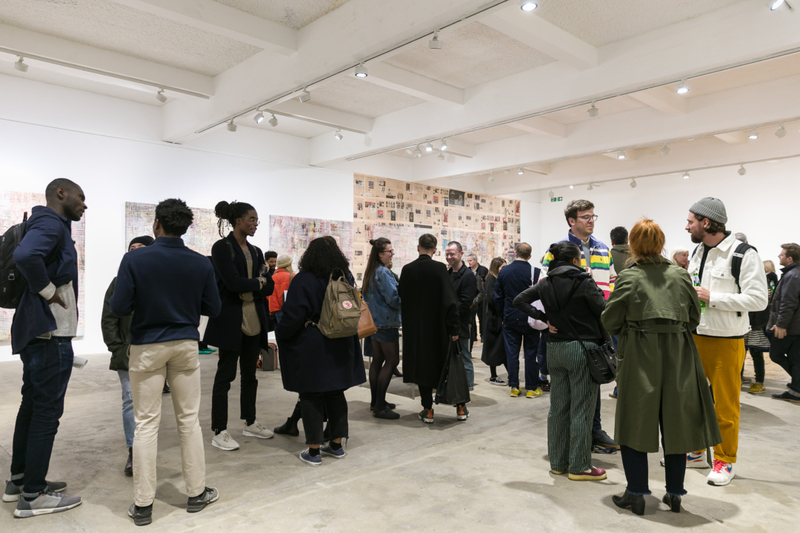 Between 2019 - 2021 Chisenhale Gallery will work with four artists to commission new work. For more information, including how to apply, visit the online application portal here. 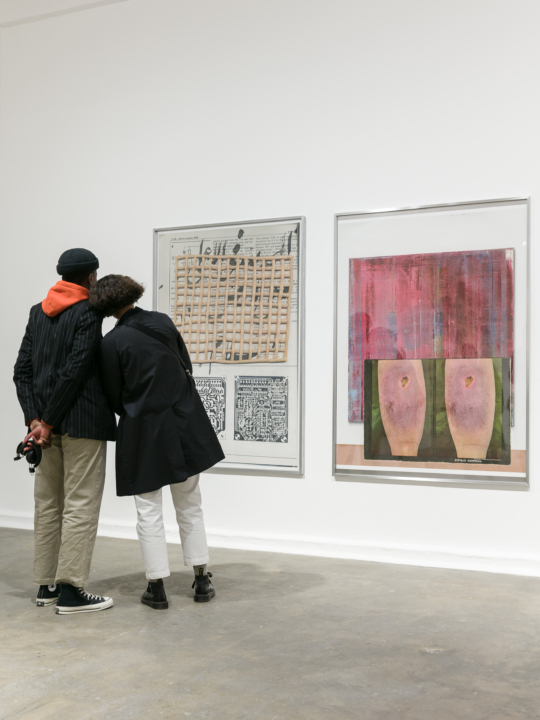 Congratulations to Chisenhale alumni Lawrence Abu Hamdan, Ed Atkins, Anthea Hamilton, and Hito Steyerl who will be included in the 58th International Art Exhibition of La Biennale di Venezia 2019, May You Live In Interesting Times, curated by Ralph Rugoff; and to Chisenhale alumna Lynette Yiadom Boakye, who will be included in the Ghana Pavillion. The Biennale opens 11 May and continues until 24 November 2019. Chisenhale alumni with recent openings include: Nasrin Tabatabai, Babak Afrassiabi and Lydia Ourahmane are included in group exhibition Crude at Jameel Arts Centre, Dubai, which continues until 30 March; Ahmet Öğüt presents his 2015 Chisenhale Gallery commission Happy Together: Collaborators Collaborating at UQO Gallery, Quebec, which continues until 6 April; and Hannah Black presents Beginning, End, None, a new video installation at Performance Space, New York, which continues until 20 April. Please join us for a screening of Jeff Preiss’ film STOP at the Institute of Contemporary Art, London on Wednesday 6 March, 6.45pm. 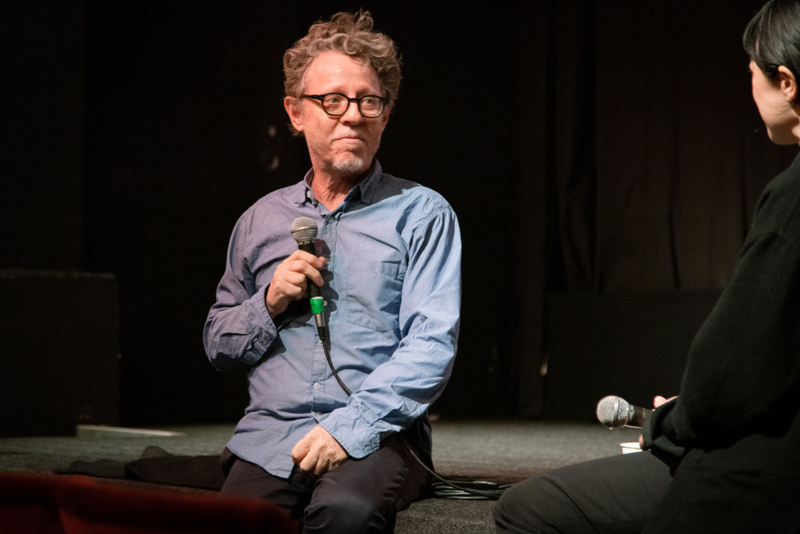 STOP is a feature-length chronicle distilled from 2,500 100-ft camera rolls of 16mm film shot between 1995 and 2011.The film has been selected by Ghislaine, who will be joined in conversation with Jeff Preiss following the screening. Please note that this event takes place offsite at the ICA. For full details and how to book, please visit the ICA website: www.ica.art. Please also join us for an introduction to Ghislaine’s new commission by Amrita Dhallu, Curatorial Assistant: Commissions on Thursday 7 March, 7pm. 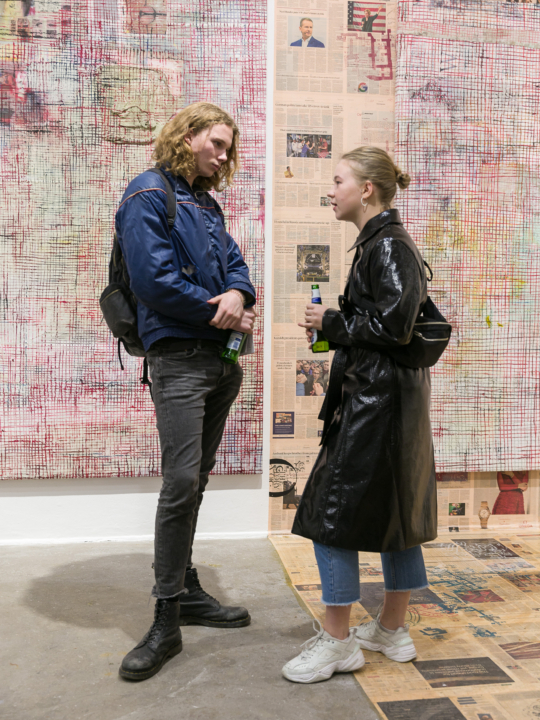 Programmed in association with First Thursdays when galleries across east London stay open until 9pm on the first Thursday of each month. This event is free to attend but booking is recommended. To reserve a place please visit our Eventbrite page here. Forthcoming events include an early morning viewing of Ghislaine’s exhibition with an introduction to the work by Layla Gatens, Curatorial Assistant: Engagement on Friday 15 March, 9-10.30am; and Ghislaine joined in conversation with Fatima Hellberg on Wednesday 20 March, 7pm. For more information and how to book, click here. This is the final week to apply for New Creatives, a newly launched series of commissioning opportunities for emerging artists aged 16-30 years who work with audio or moving image. 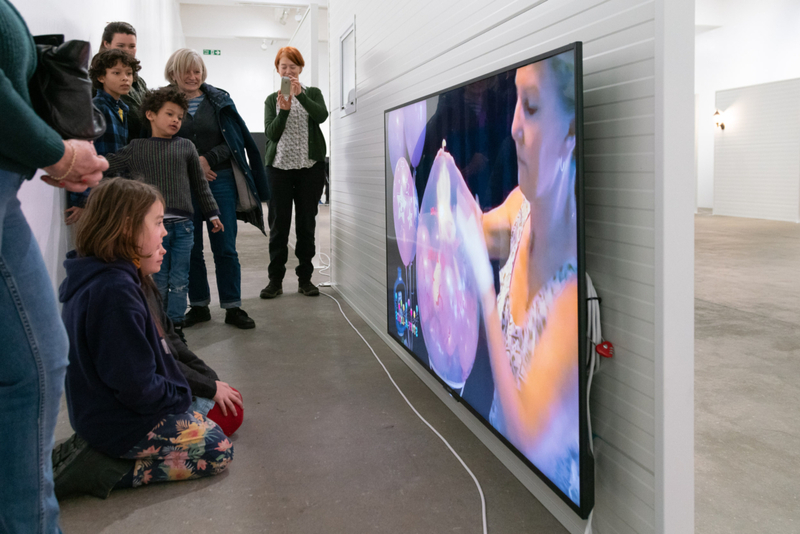 Chisenhale Gallery is working in partnership with The Institute of Contemporary Arts, BBC Arts and Arts Council England and is one of seven production partners including ICA, Kingston School of Art, NTS, SPACE, Dazed Media and Werkflow. 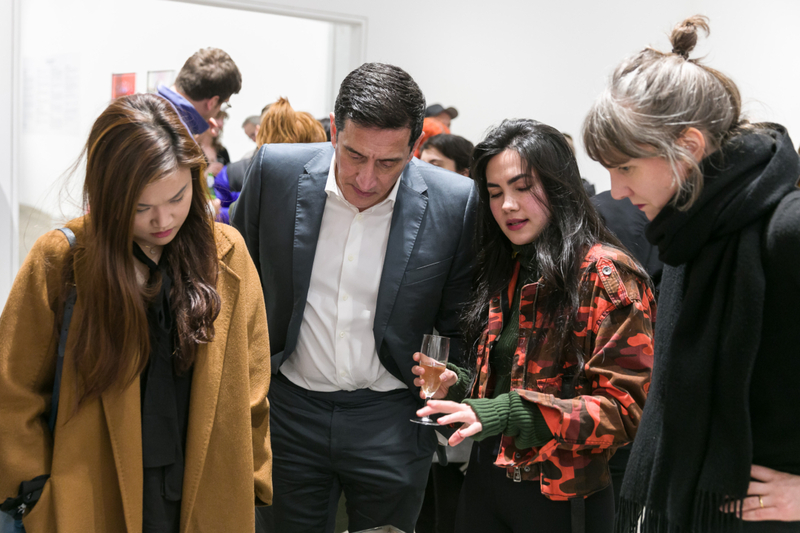 Between 2019 - 2021 Chisenhale Gallery will work with four artists to commission new work. The deadline to submit proposals for the first open call is 11:59pm, Sunday 10 March 2019.For more information, including how to apply, visit the online application portal here. 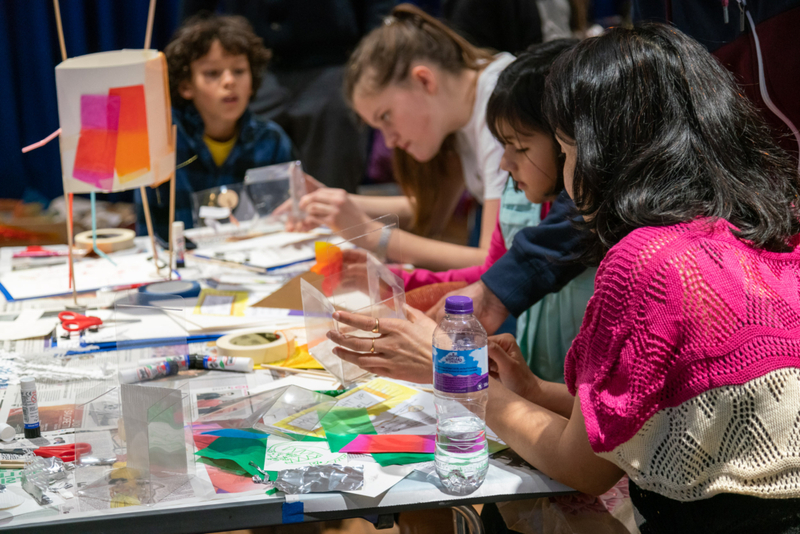 Congratulations to Chisenhale alumni Hannah Black, Lawrence Abu Hamdan and Lubaina Himid who will be included in Sharjah Biennial 14: Leaving the Echo Chamber, which opens Thursday 7 March and continues until 10 June. 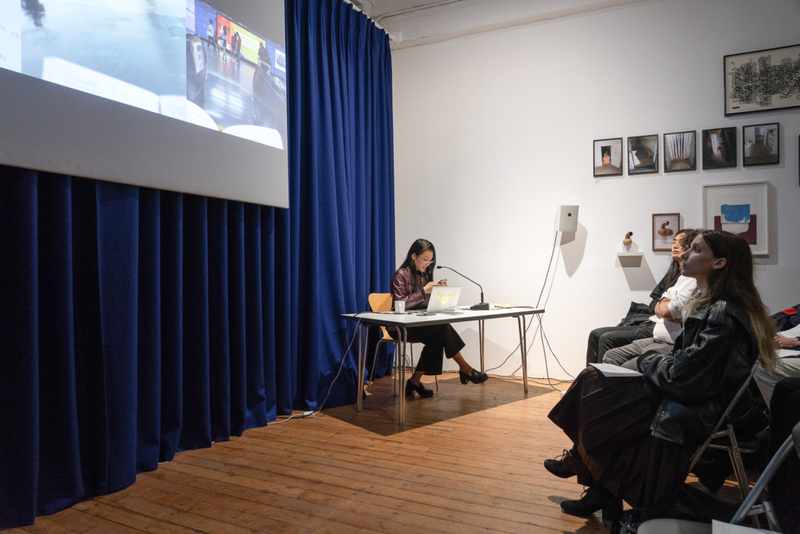 Thank you to everyone who joined us for a talk by writer and researcher Ming Lin’s response to Ghislaine’s new commission on Thursday 19 February. Photos are of the event, by Sam Nightingale. Forthcoming exhibition events include a film screening of Jeff Preiss’ STOP at the Institute of Contemporary Art, London, selected and introduced by Ghislaine on Wednesday 6 March, 6.45pm; an introduction to the commission by Amrita Dhallu, Curatorial Assistant: Commissions on Thursday 7 March, 7pm; and Ghislaine is joined in conversation with Fatima Hellberg on Wednesday 20 March, 7pm. For more information and how to book, click here. We are pleased to welcome Sam Talbot as a new member of Chisenhale Gallery’s Board of Trustees. Sam is a cultural communications consultant based in London, working internationally with commercial and public galleries, museums, art fairs, festivals, artists and curators. 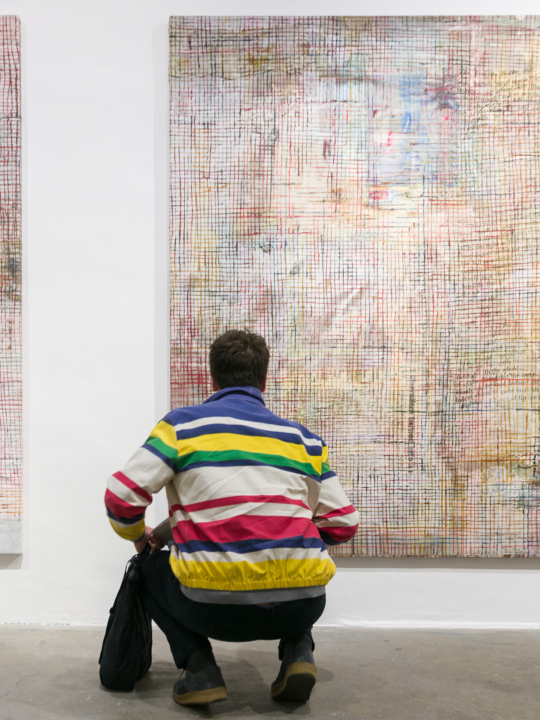 We are delighted for Sam's generous decision to support Chisenhale Gallery in this way. In partnership with Create, London, and Tate Britain, we are also pleased to announce Losal Chiodak as the inaugural Genesis Young Curator. Beginning in February, Losal will work across all three organisations on a year-long placement. Chisenhale alumni with recent openings include: Ed Atkins presents a solo show Ye Olde Food at Kunstsammlung NRW, Düsseldorf, which continues until 16 June; Amalia Pica, Bob and Roberta Smith, Caragh Thuring, Corin Sworn, Cornelia Parker, David Noonan, Mona Hatoum and Sonia Boyce are included in Drawing Biennial 2019 at The Drawing Room, which continues until 26 March. Forthcoming programme participant Sidsel Meineche Hansen will present a solo exhibition AN ARTIST GUIDE TO STOP BEING AN ARTIST at SMK - the National Gallery of Denmark, opening on Thursday 28 February and will continue until 28 July. Paul Maheke will perform alongside Nkisi at Café Oto, London on Saturday 2 March, 7.30 pm. Thank you to everyone who has visited Ghislaine Leung’s exhibition, CONSTITUTION, so far. The exhibition continues until 24 March, Wednesday-Sunday, 12-6pm. To find out more information, please click here. Photo is of the exhibition, by Andy Keate. 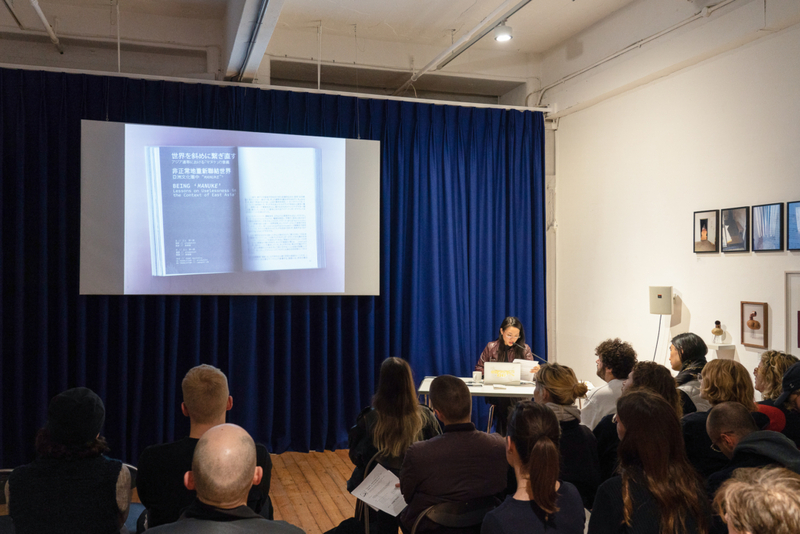 Please join us this Tuesday, 7pm, for a talk by Ming Lin in response Ghislaine Leung’s new commission and drawing on ideas of distribution and circulation. This event is free to attend, but booking is recommended. To reserve a place please click here. 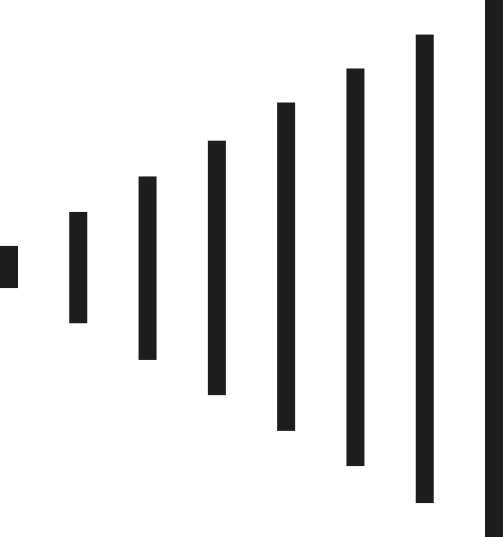 This month we launch an exciting opportunity for artists aged 16 – 30 years who work with audio or moving image. 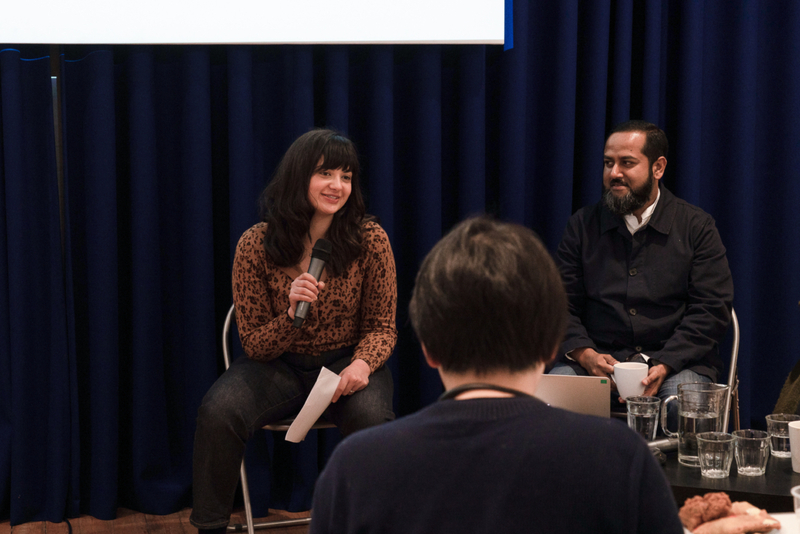 Throughout 2019 – 2021, Chisenhale Gallery is working in partnership with The Institute of Contemporary Arts (ICA), London; BBC Arts and Arts Council England to present New Creatives. This newly launched initiative provides the opportunity for young people, based in London, to produce new work with the support of industry professionals. 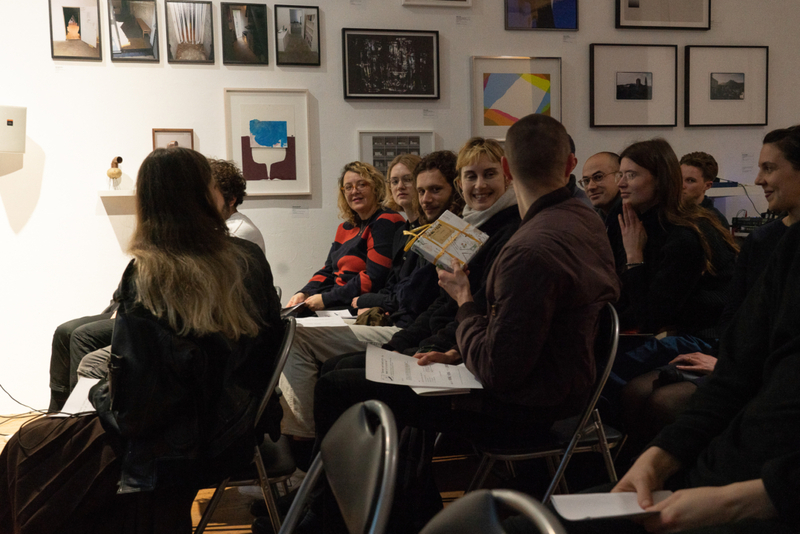 Over two years Chisenhale Gallery will work with four artists, providing mentoring and support to develop new commissions from initial idea through to final work. The deadline for applications is March 10, 2019. For more information, including how to apply, please click here. 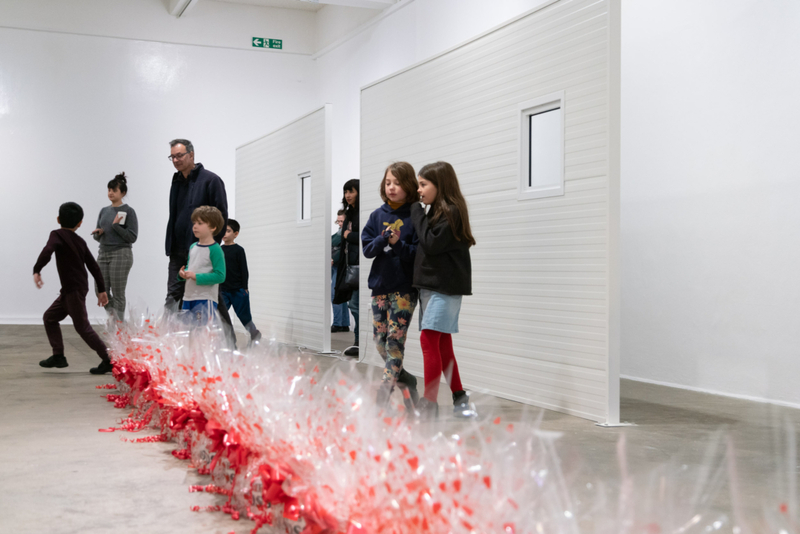 Chisenhale alumni and forthcoming programme participants with recent openings and events include: Ima Abasi-Okon who is included in The Weather Garden: Anne Hardy curates the Arts Council Collection at Towner Art Gallery, Eastbourne which opened this weekend and continues until 2 June 2019. Rachel Whiteread presents a new commission Untitled (Slade Pinboard), 2018 at the UCL Student Centre, London, which opens today; and Lubaina Himid is joined in conversation with Anja Casser on Tuesday 19 February, 7pm at Museum Ludwig, Cologne. Thank you to everyone who has visited Ghislaine Leung’s exhibition, CONSTITUTION, so far. Ghislaine's exhibition continues until 24 March, Wednesday-Sunday, 12-6pm. To find out more information, please click here. 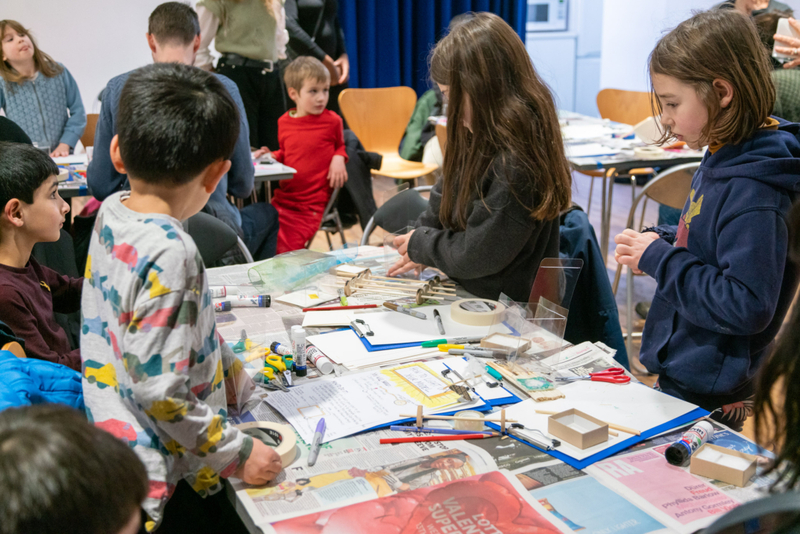 Thank you to everyone who joined us for the children's workshop led by architecture education charity Our Hut, last Saturday. Photos are from the event, by Sam Nightingale. Thank you also to those who joined us for an introduction to Ghislaine ’s new commission by Ellen Greig, Curator: Commissions last Thursday. Forthcoming exhibition events include a talk by Ming Lin in response to Ghislaine’s new commission on Tuesday 19 February, 7pm and a film screening of Jeff Preiss’ STOP at the Institute of Contemporary Art, London on Wednesday 6 March, 6.45pm. For more information and how to book, click here. Chisenhale alumni with forthcoming exhibitions include: Mark Leckey has opened a solo exhibition at OUTPUT gallery, Liverpool, which runs until 24 February; Mariana Castillo Deball and Amalia Pica are in included in group show, Is This Tomorrow, at Whitechapel Gallery, which opens on 14 February and continues until 12 May; and Yuri Pattison will be presenting his work, user space at Talking as Neighbours: Reimagining the Museum with Theatrum Mundi at Tate Modern on Saturday 16 February. In collaboration with LUX and the Ian White Estate, the Institute of Contemporary Arts, London will be hosting its second Ian White Lecture, given by art historian and critic Elisabeth Lebovici, on Thursday 14 February.